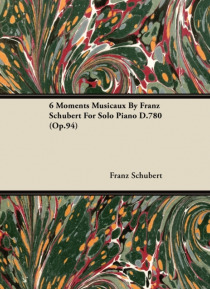 This wonderful work by Franz Schubert contains a score for the solo piano. It is a fine example of the composer's work and a fantastic addition to any classical musician's repertoire. Many of the earliest books, particularly those dating back to the 1900s and before, are now extremely scarce. We are republishing these classic works in affordable, high quality, modern editions, using the original t… ext and artwork.